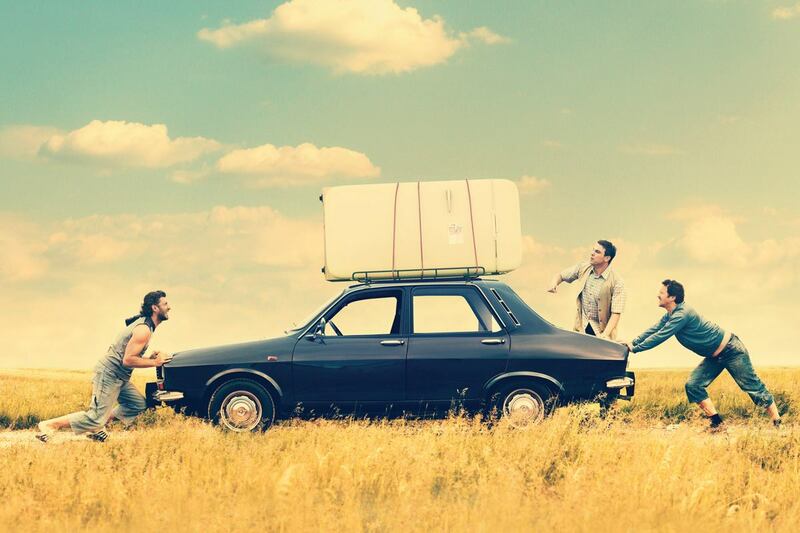 For many people the notion of a Romanian comedy is alien. This is because most people distributors and film festivals gravitate toward the deadly serious films from Romania, you know the ones that are full of sturm and drang and make you want to play in traffic. Seriously the cineastes who program the festivals need to at least borrow a sense of humor because there are funny films from Romania. A good case in point is TWO LOTTERY TICKETS which has three loveable losers winning several million Euros in a lottery only to have to go on a mad hunt in order to find the wining ticket. Insanity results. ...but the characters and the setting in Eastern Europe won me over and it wasn't long before I was laughing at our heroes dead pan and not so dead pan adventures. Basically despite my better judgement I found myself laughing at what was going on one screen. And since this is a Romanian film there is a bit of social commentary as we get a good look at the way people who aren't so well off get by and how they have to struggle just to buy a drink. I do have to apologize because I really don't have a great deal to say about the film. I enjoyed it a great deal - to the point that I stopped taking notes and just let the film wash over me, Anytime that happens the film gets a couple extra points and thats what happened here. The film plays Saturday night at the Making Waves festival in Pleasantville New York and is recommended. For more information and tickets go here.